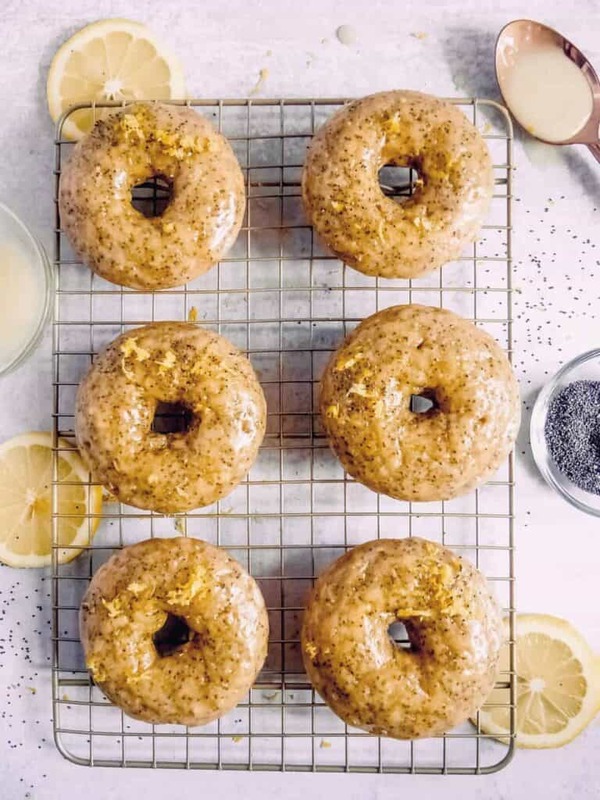 These lemon poppy seed donuts are the perfect sweet/tangy treat to start your day. The best part about them… they’re baked! 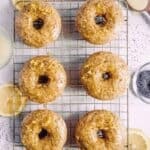 Much like my other pumpkin spice donuts, I wanted these to be semi healthy. For instance, using coconut oil and greek yogurt instead of butter, and coconut sugar rather than white sugar. 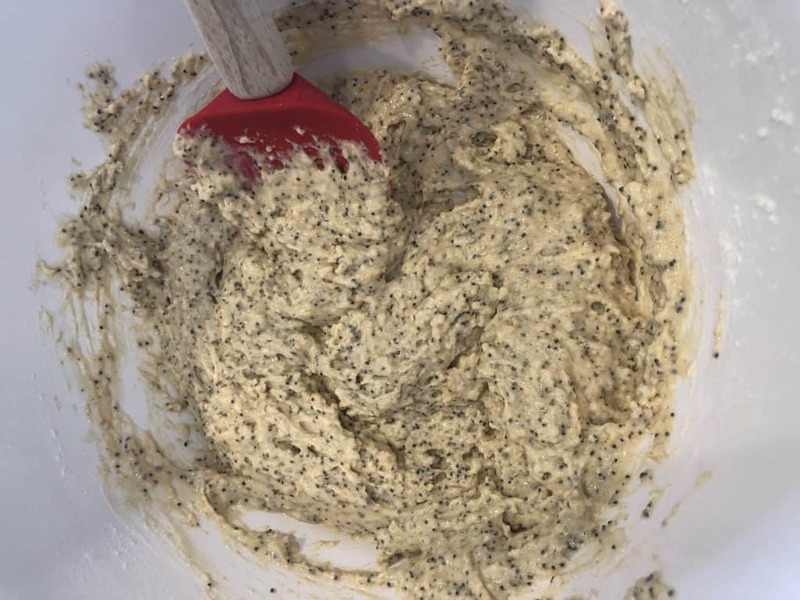 I’m not much of a baker, but I do have the grasp on mixing your dry ingredients and wet ingredients separately, then combining after. 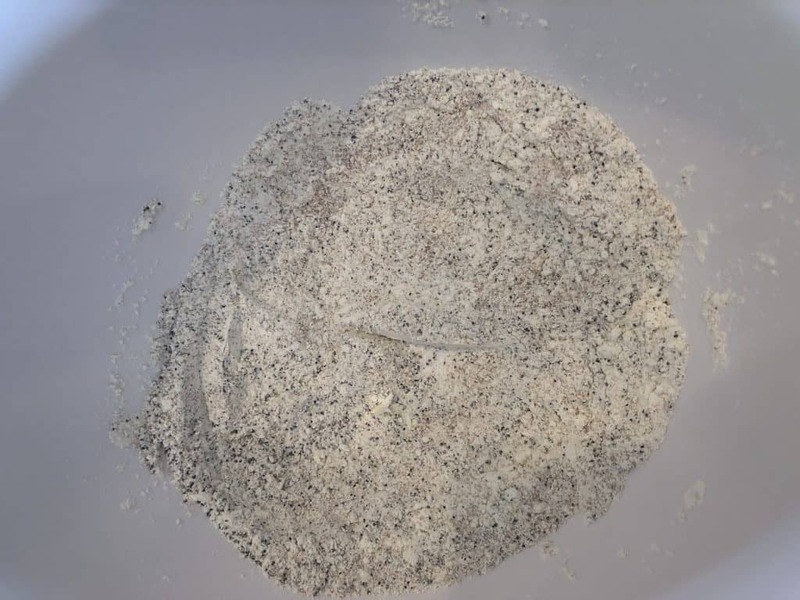 So you’re going to mix the flour, poppy seeds, lemon zest, coconut sugar, salt, baking powder and baking soda together until its all combined like the above picture. 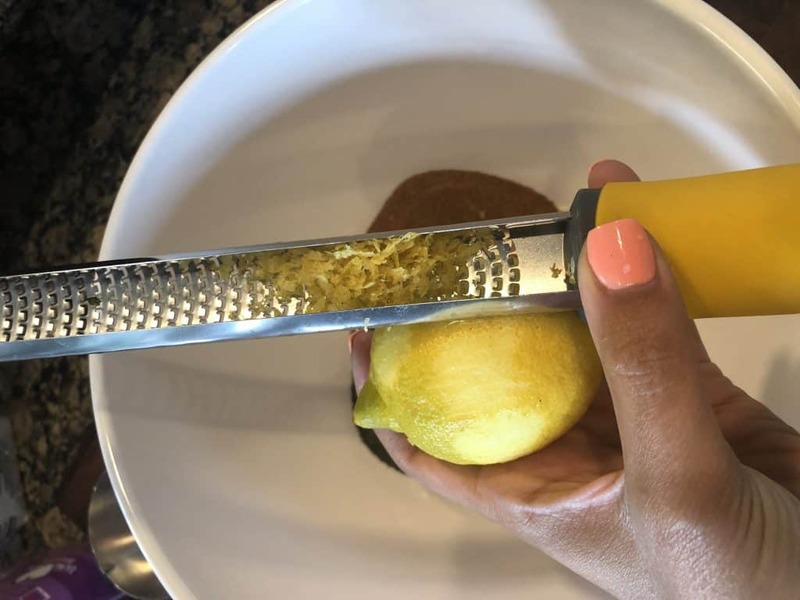 When zesting citrus, I hold my microplane on the top of the fruit so all the zest catches on the top. This is easier to then measure how much you’re putting inside and less messy. 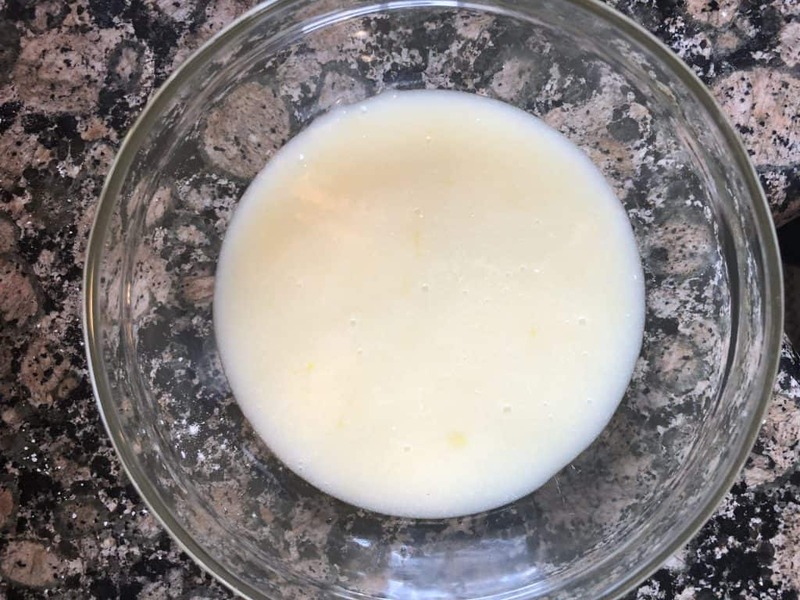 In a separate bowl, you’re going to mix together the egg, lemon juice, melted coconut oil, vanilla extract, greek yogurt, and milk. 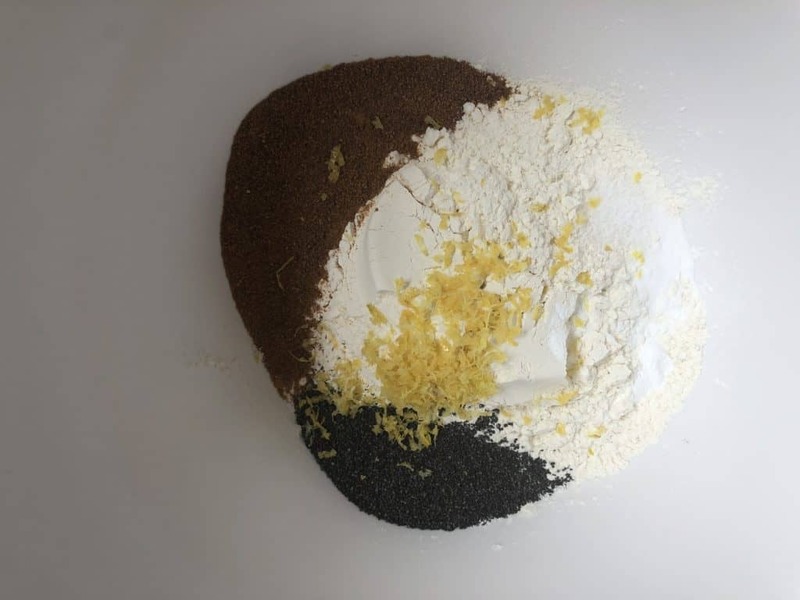 Once that is whisked and combined, you’re going to add it slowly to the dry ingredients and mix till combined like the above photo. 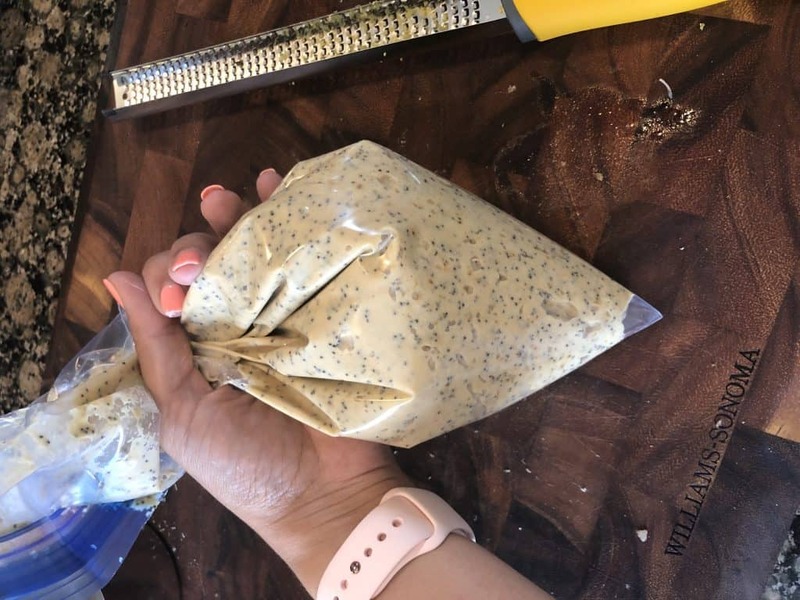 A trick I like to use is spooning the batter into a gallon ziplock bag and cutting the tip off to use as a pipping bag. 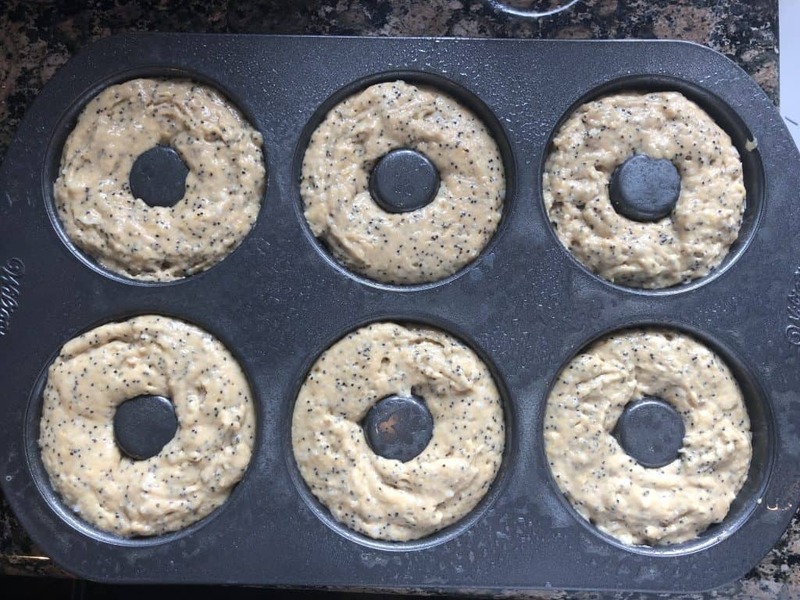 You can also just spoon the batter into your greased donut pan, but this is much easier/less messy. Make sure your donut pan is well greased. I love using coconut oil spray when baking (don’t worry it doesn’t leave a coconut taste). I fill each one about 2/3’s of the way with batter. Then I give it a few taps on the counter to get rid of any bubbles. I remove them out of the oven after 10 minutes, and carefully remove them with a spoon and place them on a rack to cool. While they are cooling we will make the icing. The most important part about this glaze is sifting the confectioners sugar (powdered sugar) before hand. 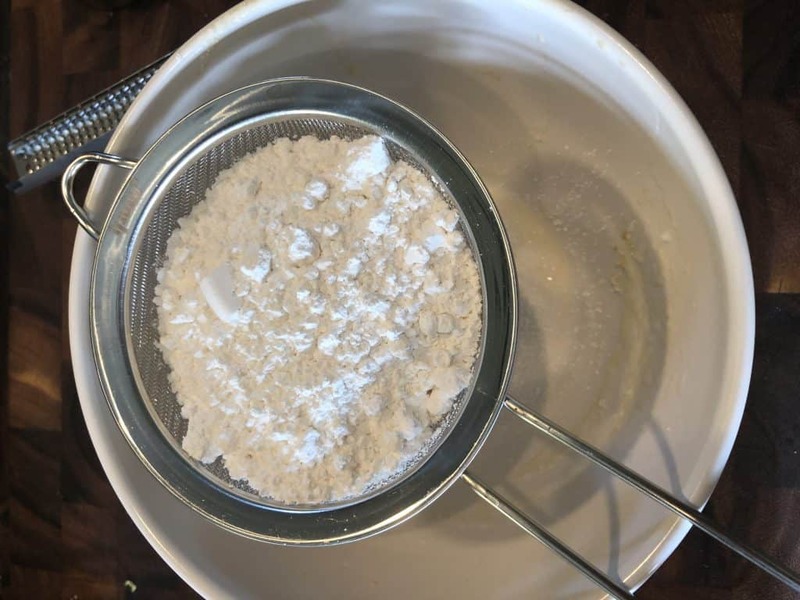 By sifting it through a mesh strainer, it comes out very fine with no chunks and will give you a smooth base for your glaze. 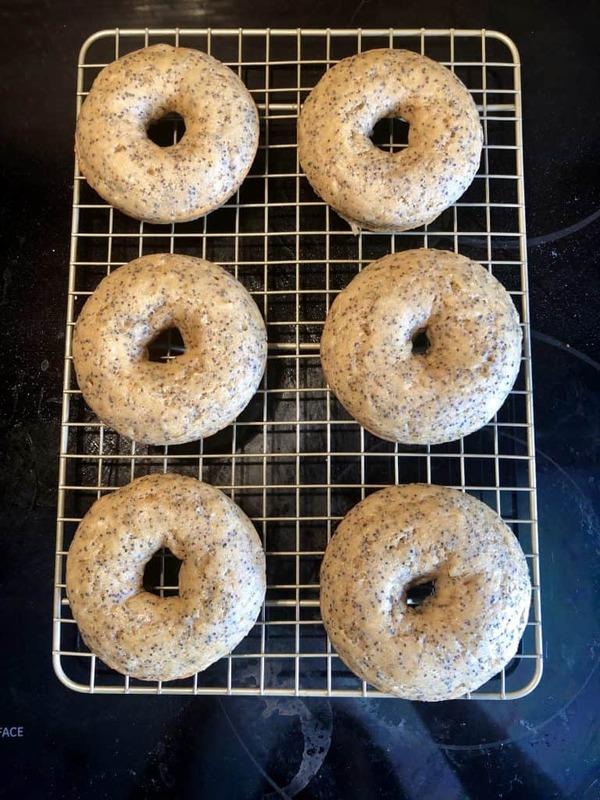 Once the donuts have cooled and the glaze is made, you’re going to grab the bottom of the donut carefully and dip it into the glaze. 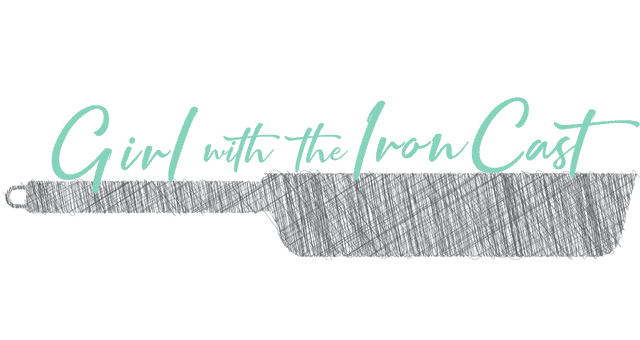 I recommend placing it on a rack that is in a pan because it will drip off excess. I only dipped mine once for a light glaze, but feel free to dip twice after waiting a few minutes for first layer to dry. 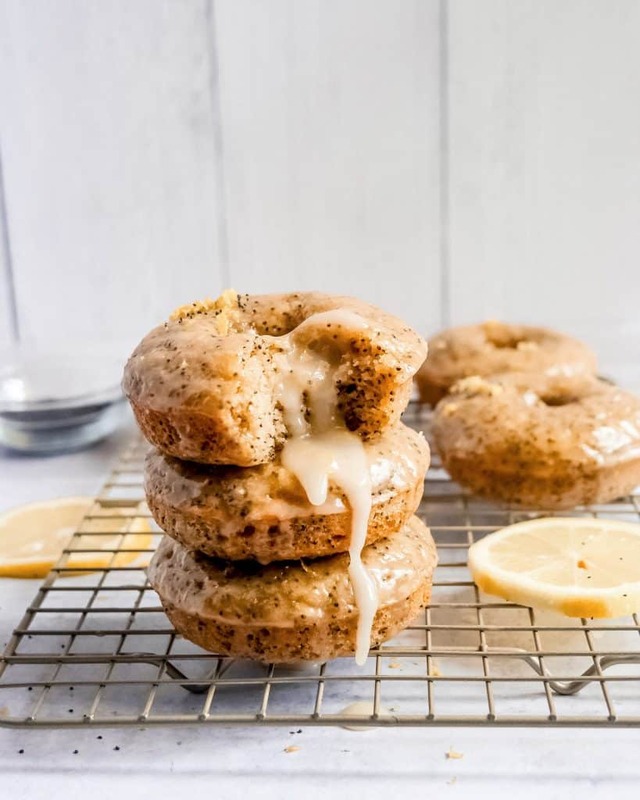 You’re left with moist, fluffy, baked donuts for you and the family to enjoy. 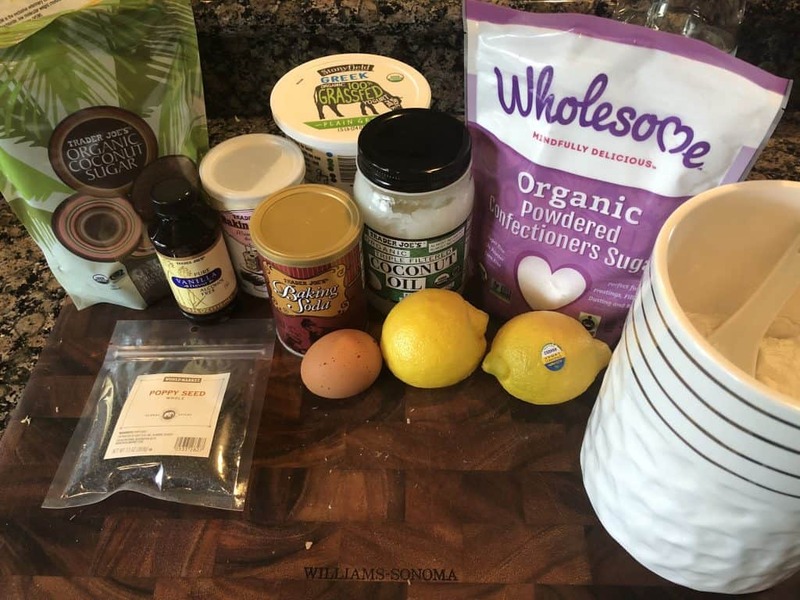 Things you’ll need: 2 medium mixing bowls, whisk, donut pan, microplane, rubber spatula, gallon ziplock bag, cooling rack/pan, fine mesh strainer, lemon squeeze, small bowl for glaze, measuring cups.